As the current Ms. 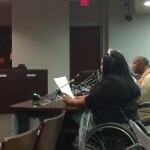 Wheelchair Maryland, I am committed to speaking out against any form of discrimination against the disabled community. 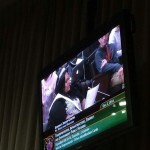 On December 2nd I had the opportunity to go before the county council to speak against the Bill 54-14 not requiring transportation network application companies and their drivers to provide accessible vehicles for people with disabilities. 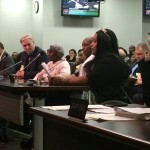 The current law in Montgomery County states that licensed taxi companies has a duty to accept and transport persons with disabilities and provide accessible taxicabs. 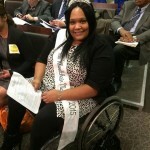 I get up Monday through Friday and use public transportation to get to my good government job just like the many others who are not disabled. How dare you tell me that I can’t hop in a cab just like the next person. Not as long as my name is Kimberly Dawn Jordan-Gaskins. One thing is for certain and two things for sure…I know how to write a letter and I have a pretty strong voice! We will be heard!